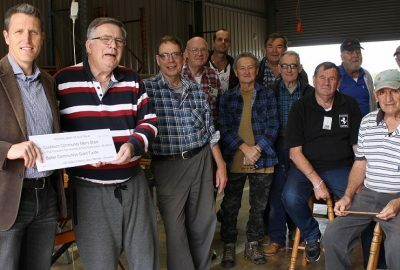 On October 4th 2016, Josh Wilson MLA Fremantle presented the Federal Governments Better Communities Grant cheque to the shed Chairman Mike Manning for the sum of $5,289.00. This grant is on a dollar for dollar basis. The funds will be used to purchase $10,578.00 worth of new and safe equipment through Toolmart Belmont.